One of the biggest pieces of advice nutrition experts and health care professionals give drivers on an ongoing basis is they should strive to eat better. After all, truck stop food often comes with plenty of calories, saturated fats and sugars that aren't exactly good for you. However, "eating better" is usually easier said than done. Perhaps the best way to avoid the pitfalls of fatty, salty, unhealthy fast food is to start cooking yourself, according to Roadmaster Drivers School. Plenty of drivers have found a lot of success in cooking with Crockpots while they drive, using recipes they find online to cook meals they're going to love - with a set-it-and-forget-it twist. You might be surprised to see how many kinds of dishes you can make with modern Crockpots, so a little investigation could help you find something that works for you. Another all too common problem for pro haulers is that the drinks available to them aren't healthy, Roadmaster added. Soda, coffee loaded with sugar, energy drinks and so on are all too common, and drivers rarely lean on unsweetened teas, water and seltzer instead. Making that switch may make more of a difference than many might suspect. Candy, chips, pretzels and more are the most common snacks for many truckers, but they're not always healthy, according to Smart Trucking. If they're still craving something salty, mixing in snack options like peanuts or pistachios, sunflower seeds or pumpkin seeds can be a big positive change, especially because those natural treats are loaded with protein. If you're looking to shake these standard nuts and seeds up a little, you might consider some trail mix instead - with raisins, shredded coconut even a little bit low-sugar candy - can make the snack a bit more fun. For those looking for a quick meal substitute that does a little bit of fueling and a little bit of scratching that snacking itch, Smart Trucking noted. A good-quality protein bar - without too many preservatives or chemical additives - can really help them meet that goal if they're squeezed for time and looking for something that makes sense. 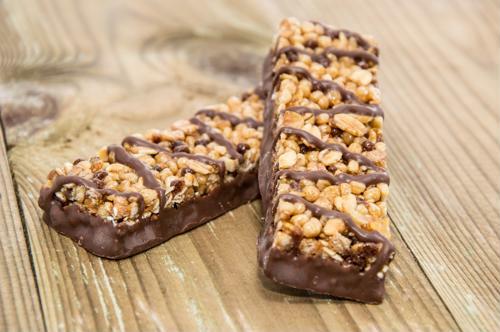 As a bonus, eating a single bar will also help keep your portion size down, another critical component of eating better. And of course, snacking on fruits and vegetables is always a great idea for eating healthy, according to ATBS. These are often low in calories, high in vitamins and minerals and otherwise filling without a lot of guilt. Keeping them in a cooler, and maybe having some hummus on hand for dipping, will help make sure they're refreshing on an ongoing basis. Because everyone has their own snacking habits, you might need to do a little research to find options that will meet your personal preferences. However, there are likely to be plenty of available choices to help you eat better in 2019.